WordPress is an all-rounder CMS and gives you vast options of plugins to enable all the basic and advanced thing you want on your website. 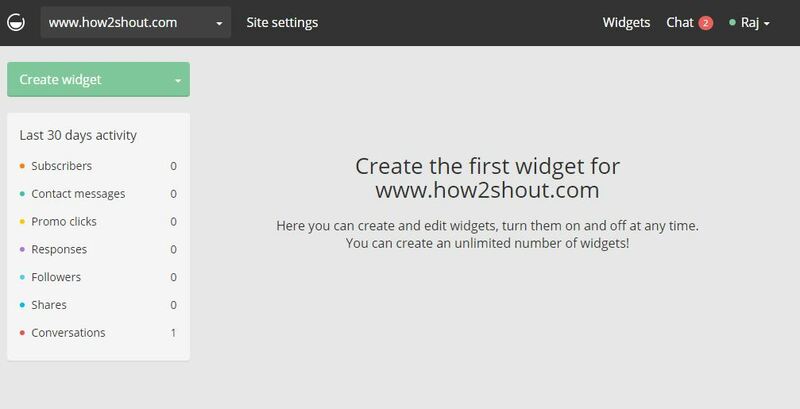 For example, if you want to create a Promo messages, Subscriber pop-up or opt-in, contact form, live chat, social sharing and follow buttons for WordPress website then you just need a single free plugin called GetsiteControl. Most free online software or plugins have some limitations with their free versions. But Getsitecontrol gives a complete set of user engagement tools free of cost. From live chat to online surveys, Promo Messages, contact, social media tools and more can be managed by using one single dashboard. Live chat and surveys can be used to answer the different consumer’s questions, to provide support & services. In this tutorial, we are going to show you how to add live chat in WordPress. 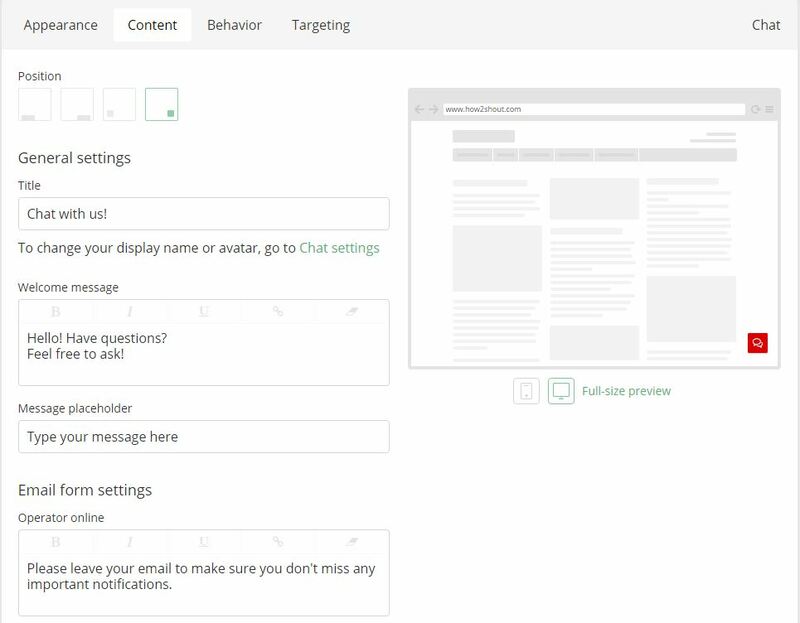 This simple free Getsitecontrol plugin can solve your 8 user engagement problems. Subscribe widget: Customizable Opt-in forms for increasing subscribers. Survey widget: Online surveys for your website in just a few minutes. Contact widget: Contact form to communicate with your website visitors. Promo widget: Promotional messages and alerts for your website. Share widget: Social liking, sharing, retweeting and pinning your website content. Follow widget: Custom ‘follow’ buttons. 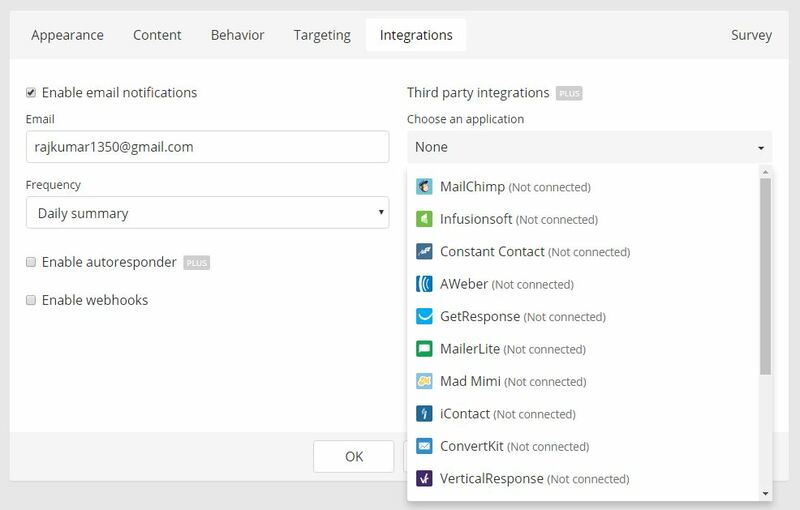 Integrations: Get the data automatically synced with MailChimp, AWeber, Constant Contact, Campaign Monitor, ActiveCampaign or Mad Mimi. Step 1: Open your WordPress dashboard > go to > Add Plugins search for Getsitecontrol and install it. Step 2: After installing and activating the plugin. Click on Getsitecontrol option and signup in the plugin. Step 3: Now click on Manage the widget option and Getsitecontrol widget dashboard will open. 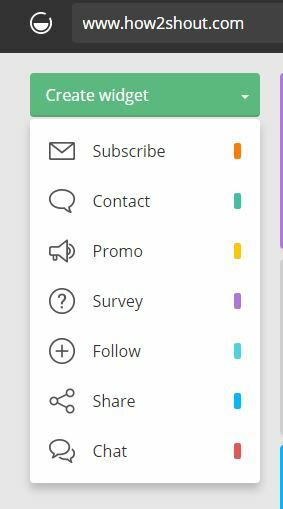 The dashboard is a simple and user-friendly form where you can create a different widget such as Chat widget, subscribe widget, survey widget, contact widget, promo widget, share widget and follow widget. Step 1: On the dashboard of Getsitecontrol you will see an option Create Widget. It is a drop down menu from where you can select different widgets you want to enable on your website. Right now, we are going to create a chat widget. To create chat widget, just select the chat option from the chat widget. Step 2: The next step is to configure the chat widget according to your need. You will get four options: Appearance, Content, Behavior, and Targeting. Appearance: In this tab, you can customize the looks, position, color and font of the chat widget to suit the website theme. Content: In the content section the text that’s going to be displayed during the chat time to the users can be edited. Behavior: Now this is something every user wants i.e control the behavior of the widget. 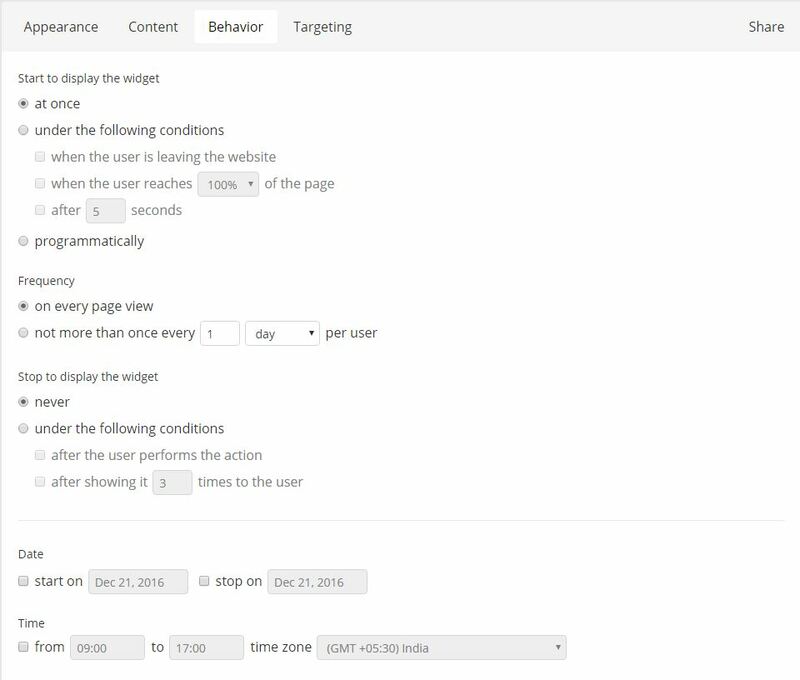 From this section, you can control widget frequency so that you can monitor how many times it will appear to any user and when. 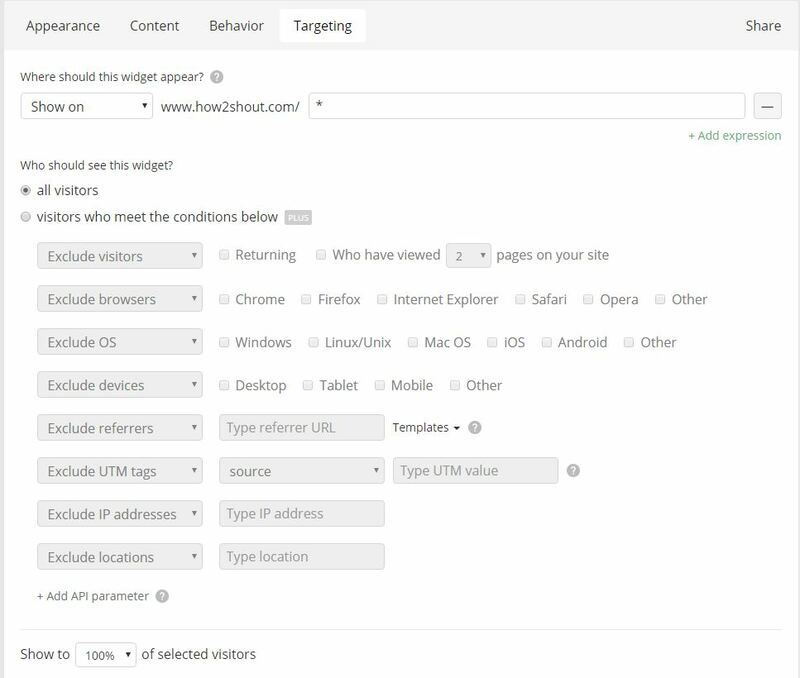 Targeting: By default, all visitors can see the published widget but if you want to customize it on the basis of location, browser, IP address, device and more then you have to go for pro plan. In this way, you can add live chat to your website to talk to your website visitors in real-time. 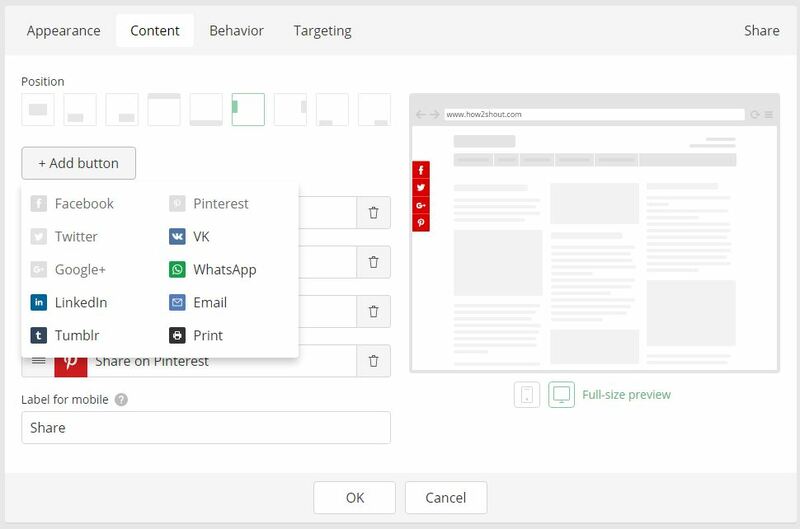 Also, follow the same steps to add a subscription, survey, Promo Messages and other widgets. We have already discussed how to increase your business user engagement by creating a live chat, now we will show how to create a survey in WordPress using a plugin called Getsitecontrol plugin. No doubt Live chat comes very handy if you want to solve the problems of your customers in real time but what about the user opinion. Writing a unique article about users problems or on some product, it is good to take your audience opinion using surveys. If you are using the Gravity forms plugin then you can use Survey Add-on to enable the survey functionality, but it is paid. So, if you want to add Surveys in WordPress free cost then Getsitecontrol Plugin is here. Step 1: Again go to the Getsitecontrol dashboard and from Create widget option select the Survey to create a survey widget. Step 2: A new section will open from where you can configure the survey widget according to your need. 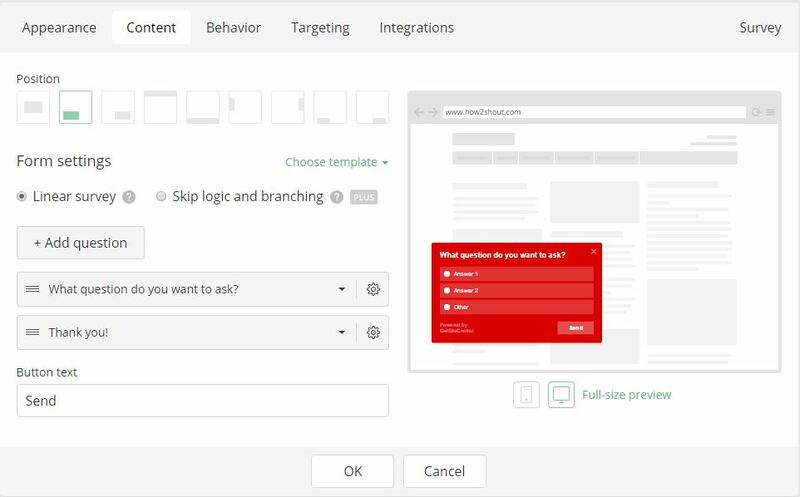 You will get four options: Appearance, Content, Behavior, and Targeting. Like above-given methods, you can also set a floating or standard social icon on the website for sharing you valuable content. 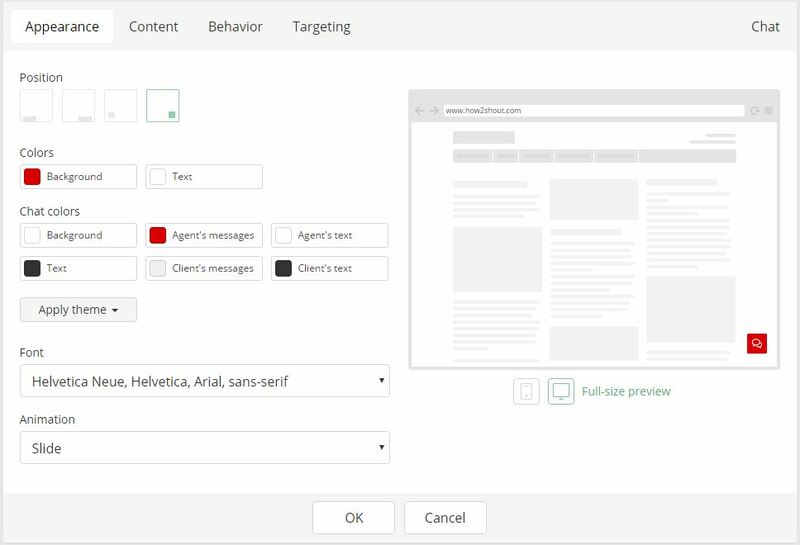 In this way, you can create a Promo Messages, subscriber pop-up, social sharings and more by using a single Getsitecontrol plugin at free of cost.